We have all heard the song, sang the song and can pretty much sing it in our sleep. But this morning this song has a deeper presence in my heart and the only way I can figure out why is to blog about it. See writing (and blogging) for me is pretty much like how it is for others who try to put a puzzle together. 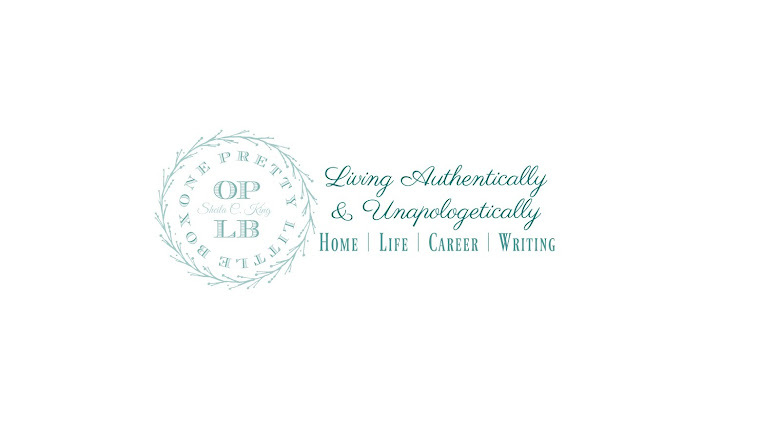 While I know the outcome, the process is what makes writing so precious. It is what makes every writer unique because even when we think we know the outcome, we are often surprised ourselves. Anyhoo, this blog post is already off topic as per usual! HAHA! "Oh come, let us adore Him" is a time old Christmas song, sang by believers and non believers alike. We hear it in many versions throughout the season, in backgrounds to movies, while shopping, even in the car. When my babies were little, I used to rock and sing to them, and regardless of the time of year, I would softly sing this song. It was my hearts desire for my children to know the living God and His son Jesus deeper than I ever did as a child. This morning as I was taking the dog out for her morning run in the backyard I looked up to the sky as I often do, and this song penetrated my heart. Deep within, more than ever before. As I sang the songs the words struck me. There are meaning in those words, yet many of us just sing it to sing it. So, I want to this morning break down these words so that I can rest in the knowledge as well, and share the meaning with you. Oh Come ~ It is like an invite. See God is a gentleman and he doesn't make too many demands. In fact He doesn't make any demands ~ doctrine does. See, even in Christianity, or whatever you may believe, there is a manual of sorts. Much like an employee manual. It has the rules, the consequences, and the benefits all laid out. It's up to us to learn it and to live it. He doesn't make demands ~ his requirements are there for everyone to freely read. We may be missing out on many benefits because we chose to skim through it reading only the parts that we think are important without realizing the fine print, the print we skimmed quickly through really was the important part. He however, invites us to His presence much like when you or I invite a friend over for coffee, to watch the game, or for a big meal. He loves our company, and in this instance, He wants us to come and see! Have you ever been to a sip and see, or even just visited with someone who had something they wanted to show you? A new baby, A priced possession, or maybe even just desired your company. They invite you with kindness, joy, and a purpose. All Ye Faithful ~ Oh He lines it out right there! He wants the faithful to come! That means he needs those without doubt, who will believe what their eyes will see because it is that amazing! When you share whatever it is that you will see, He wants you the faithful to believe it, so that when you share it others may believe too. Also, have you ever shared something so great with someone who was a naysayer? Oh, i have. And what a disappointment it was! Here I was sharing one of the greatest things that ever happened to me ~ and yet the one person I so wanted to share it with, sucked the life and joy right out of it because of their doubt and negativity. Honestly, the more it happens, the less I want to be with them. The less I want to share with them. Joyful ~ He doesn't want you to come to this magnificent event all sad, depressed, angry, hurt, pointing out people's faults, pointing out your own faults, full of greed, malice, and envy. No! He wants you to come, faithfully come, with JOY and no doubt in your heart. He wants you to be able to see the WHOLE picture for what it is, not what you believe it is. He wants you to experience the MAGIC of the MOMENT of His presence, not the presence of guilt, shame, regret. See when I see a truly joyful person, there is a light that is upon their face. You can see it. Some people call it a glow, others just notice a difference. But JOY cannot be faked, no it is truly a GENUINE feeling deep within that just flows out from every pore in their being. And Triumphant ~ Triumphant means that you have overcome adversity. You have come through whatever life event that was troubling you and now you have won the battle! You have found victory! When God calls us to come triumphantly He is reminding us that we ALL will and have faced many trials in life, but just as He is ever present in our lives, He wants us to live this expectant life knowing that at the end of the trial, there will be victory! WE need to walk in this victory every single day! We need to stop over thinking, stop over criticizing, and stop over analyzing because when we do, we are taking these trials in our own hands and not letting the one who is ready to Defend, Up Hold, and Fight for what's right. Sure we might think we can do it on our own, and that God is too busy, but really we need to back off and allow HIM that privilege. See it is his PLEASURE to help us, guide us, and lead us through these trials. When we act like a stubborn three year old and storm off stomping our feet ~ all we are doing is making a bunch of noise that will not lead to victory and triumph. Come Ye oh Come Ye to Bethlehem ~ You have been invited to the throne room. Will you go? This was a double "invite" so that means to take extra notice because it was important enough to say it twice. I don't know about you, but to be honest when life gets busy I often forget to go to the throne room. It's like a last resort instead of a priority and right now, (this season) God is beckoning us to come to His throne room! Pleading as if to say, please come I have something important to tell you! Woah! How many important things have I missed out on because that visit to the throne room wasn't so important? Come and Behold Him ~ OH my gracious ya'll! Not only does God want you to come to His throne room joyful, triumphant (walking in victory), but He wants you to see and adore His son ~ His only son that will walk the Earth without sin!! Your big Brother! The brother he wants you to see, to lead you, to guide you, to let you know that if you truly want to walk in righteousness, it can be done! He wants you to see that this beautiful perfect gift to the world is yours, and you are related! Come to the throne room, spend time with them both! Jesus said the ONLY way to the Father is through Him. God personally invited you to meet Jesus... so that YOU can be united with God! Have you ever just looked upon the face of a newborn and say "Wow!". God Almighty does that with you, and he celebrates that same "Wow" moment with every breath you take. 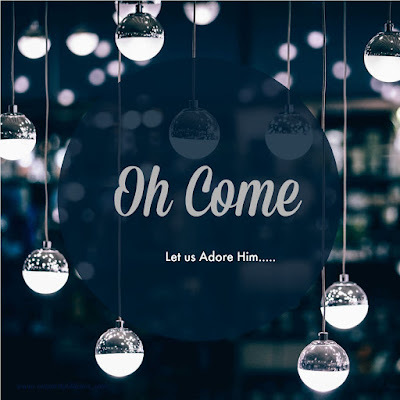 Come, Let Us Adore Him ~ Adoration is often wasted on things that really don't matter, or take your focus away from things that really matter. Many adults adore their cel phones ~ they have replaced REAL relationships, ruined marriages, and have replaced parenting. Yet, only run to the feet of Jesus when life turns upside down. When you adore something it is all you can think about, all you want to spend your time doing/with, and you never hesitate to share about it. Christ The Lord ~ Is Christ the Lord in your life? Or is work? Alcohol? Drugs? When you have a Lord in your life, you honor them, you spend time with them, you know their desires for you and you match yours to it. As we approach Christmas I invite you to make Jesus, the Lord of your life! I invite you to enter into the throne room, with triumph and joy! This is the GREATEST time of the year, not because of the decorations, the shopping, the gifts, the food, but because it is the time we celebrate Jesus! It is a time when God calls us to come... to Him. He doesn't just ask, He pleads.